Mobile app development has seen some amazing changes over the years as it has evolved and blossomed to the core. Over the years the companies have been heavily relying on providing the best possible services to the customers in order to obtain a subtle customer base. The usage of mobile apps is becoming increasingly popular amongst all categories of organizations and businesses as it gives them a more synchronized and organized platform to perform their operations. Role-based app development will play a pivotal role signifying and upgrading the involvement of the employees to a level so that they would be more useful and mature according to the organization’s need. It would also give a complete bifurcation about the role of the app in a hierarchal order so that the essence of the app goes down well with all the employees. In the present business world which is highly competitive, the app needs to yield the best service from the word go. As the modern age customers have a plethora of options to select from, the companies need to be stringent in their approach in order to provide the best possible experiences to the customers yielding optimum results from enterprise mobility. For better user engagement it is necessary to include the features that would appeal them more. For instance, a messaging or chatting app having features of video and voice call apart from providing the normal text service will make the users use it more in comparison to its contemporary apps. This is where role based mobile app development comes handy as it gives the companies a full blueprint of the happenings around the tech world and what their targeted customers specifically look for and what they need. As a result, it would simplify the onboarding process so that the customers don’t opt out in the middle. The functionality of the apps can be cordially increased by including all the latest technologies as per requirements and need of the users and prevent the app from getting out of order and confusing. As enterprise mobility has become a norm, it has become a must for the companies to adopt a mobile-first approach. This method will help them to expand their customer base and also make the product highly visible. This approach can be solidified by role based mobile app development as it would make highly interactive and beautifully designed apps empowering mobility. The mobile first approach will also take your business to every nook and corners of the world thus increasing your chances of getting a good amount of businesses and revenues. For maintaining peace, harmony and order within the company, it is essential to have a proper hierarchal order when it comes to the usage of the mobile app. For example, if the app contains details related to the information of clients and customers it should have various security levels so that it can’t be breached easily. Moreover, the high-profile data must be accessed only by the top level employees so that its confidentiality can be maintained of the highest order. Role based app development will also set new benchmarks which the organizations can follow and develop even more competent mobile apps in the future. Let’s put our hands down and accept the fact that employees are the most important assets that any company can have. Therefore, it is a sheer necessity to treat them well in an appropriate manner. Including role based app development will make this process more seamless, well organized and better. It will further save the training cost for the company as it improves the training and scheduling process of the employees. Role based apps also increase the consistency and the efficiency of the employees and break down the app services to provide the in context content. As it would define the role of the employee well in advance, the chances of confusion are a lot less and no hiccups during the entire work process. Role based app approach can be transformational as it will allow the mobile app to deliver better results. The app marketers would know to simply better and result oriented approaches so that they could connect with the customers instantly. As the modern technological world is more demanding, role based app development will allow each and every employee to understand their part and perform it to perfection. From the development process to the app marketing method, role-based approach will be the perfect remedy to glorify every aspect of mobile app development. 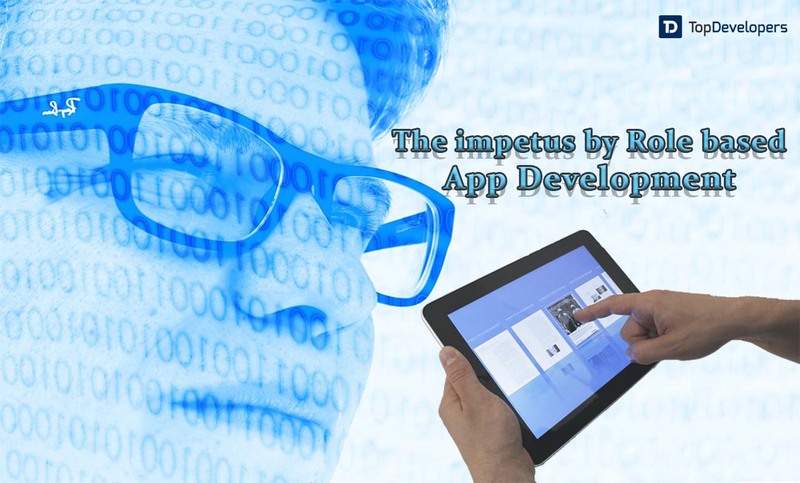 Role based mobile app development will render the best possible opportunities to a Mobile App Development Companies so that it can enhance their internal process. It will ensure that all the employees in the organization work efficiently to the core of their potentials and waste less time in going around and working on the issues or matters that are not of much importance.